They can be used to lower other village’s loyalty, and conquer them. 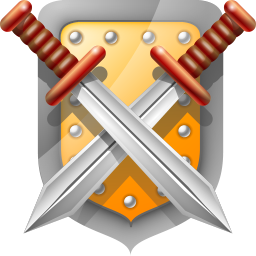 Some troops (Legionnaire, Praetorian – Roman troops; Spearman, Paladin – Teutonic troops; Phalanx and Druidrider – Gallic troops) are considered defensive troops. They are the best at defending for their respective tribes. Some are better at defending against infantry, some are better against cavalry. Having a mix of them is usually a safer bet, so that you avoid being weak to a specific type of troop. When attacked, all troops currently placed in the village will help defend against the attack. You can enhance another village’s (yours or your allies’) defence by sending troops as reinforcement to their village. You should also make sure they arrive prior to the attack. Gathering defence against a big attack is a good way to block the attack, with minimal loss for the defenders. Unit’s armour can be upgraded in the smithy of their home village, increasing their defence abilities. Some troops (Legionnaire, Imperian, Equites Imperatoris, Equites Caesaris – Roman troops; Clubswinger, Axeman, Teutonic Knight – Teutonic troops; Swordsman, Theutates Thunder and Haeduan – Gallic troops) are considered offensive. They tend to deal more damage on the attacking side than if they were on the defensive side of the battle. Unit’s weapons can be upgraded in the smithy of their home village, increasing their attacking abilities. Though the Paladin is not an attacking unit, their ability to raid resources is only matched by the Theutates Thunder’s velocity, and as with all cavalry units, they can be used in early game to kill off some poor Clubswingers who really don’t know how to defend properly against cavalry. How administrators work in takeovers is explained in detail on the page “Conquering Villages”. In order to detect scoutings on your villages, it is recommended to have at least a few scouts (5-30) on each of them. It is also recommended to have much more of them in the few spots (15 crops, capital, offensive village, …) you really don’t want someone to just scout and get the information.